U.K. Interactive Entertainment, the organization of U.K.-based videogame publishers, claims that for everyone one videogame sold in the country, four copies are pirated. Piracy. Most of us can agree that it's not a good thing. The debate begins when we try to figure out exactly how bad it is. 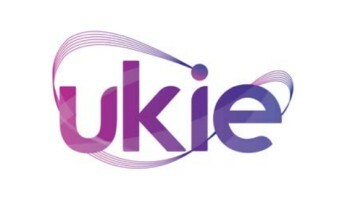 UKIE Director General Michael Rawlinson estimates that the ratio of piracy to legitimate game sales is running at about 4:1, an appalling figure, but acknowledged that the actual impact on the industry is very hard to determine. He also said that recent figures claiming piracy cost U.K. retailers nearly $2.3 billion in 2010 was a "conservative" guess that did not necessarily represent a direct loss to sellers. "We took a conservative position of saying if this is only 1:1 across all titles it would have a retail equivalent value of Â£1.45 billion," he told GamesIndustry. "We did not say this was the loss to industry." "What is clear is people who 'share' games via P2P networks or buy illegal copies are not buying the real product, and this reduces retailer sales. It can provide the consumer with a sub-standard product and money paid to illegal traders does not flow back to the creative," he continued. "In turn, investors see higher risks/lower returns, and this in turn will undermine confidence in the sector and lower the amount of money invested, reducing the developer's chance to create new products." Figuring out the real cost of piracy is a tricky job because there are so many variables at play, not to mention the fact that people might be inclined to be less than honest about taking part in what is essentially a dishonest activity. The matter is further complicated by cases like that of Daniel Amitay, the creator of the iPhone game Punch 'Em!, who recently attributed a big, sustained jump in his sales to increased rates of illegal copying. Rawlinson said the UKIE is commissioning further research into the issue to try to come up with a better understanding of the impact of piracy but cautioned against using anecdotes like Amitray's to justify it. "My position is clear, there can be no justification of unauthorized 'sharing' or pirate sales," he said. "The industry should never support or condone this on the basis of any potential or perceived 'marketing' upside."